Gemma is Officially on Twitter! Our Gemma has finally joined twitter!! 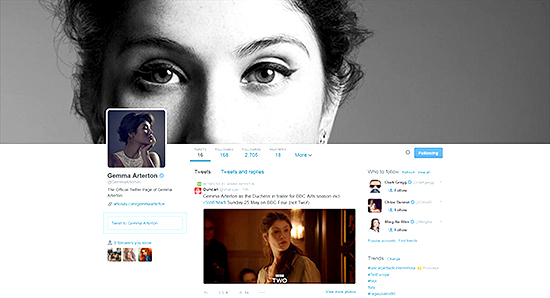 Be sure to welcome and follow her :) You can find her at @GemmaArterton!! Bond girl Gemma Arterton is set to star in the stage adaption of Made in Dagenham. According to the Daily Mail ‘s Baz Bamigboye, the musical, directed by Rupert Goold, will open at the West End’s Adelphi Theatre in the fall, after The Bodyguard ends its run. Based on the 2010 film of the same name, Made in Dagenham tells the tale of the female machinists who went on strike in 1968 at the U.K.’s Ford Dagenham car factory demanding equal pay and protesting against sexual discrimination. Arterton will star as Rita, who leads her co-workers to strike. Arterton recently appeared in a revival of The Duchess of Malfi. She made her professional stage debut at London’s Globe Theatre in 2007 as Rosaline in Love’s Labour’s Lost. Other London theater credits include The Master Builder and The Little Dog Laughed. Her TV and film credits include Tess of the D’Urbervilles, Quantum of Solace, Prince of Persia: Sands of Time, St Trinian’s, The Disappearance of Alice Creed, Hansel and Gretel and Runner Runner. Vampires battling werewolves? That’s nothing compared to the craziness of the Monty Python troupe’s newest comedy. Back in 2012, we reported that writer-director-actor Terry Jones (Monty Python and the Holy Grail) and the Monty Python team were working on a new sci-fi comedy called Absolutely Anything. Now, thanks to Deadline, we have some new details about the long-gestating project. Underworld‘s Kate Beckinsale has been cast as the potential love interest for Simon Pegg’s character, presumably the role for which Gemma Arterton was originally rumored. Beckinsale and Pegg are joined by comedian Eddie Izzard, Sanjeev Bhaskar (Notting Hill), Robin Williams, and Joanna Lumley (The Wolf of Wall Street). That premise sounds incredibly bizarre, which is exactly what you want from a Monty Python outing. Gemma Arterton and Tim Roth are among the starry cast assembling on The Keys to the Street, which has a screenplay by acclaimed director Christopher Nolan. Max Irons and Sebastian Koch are also on board the feature, which is a big screen adaptation of the psychological thriller by Ruth Rendell. Currently slated for a summer shoot in London, the story centres on a woman who, having escaped from her violent boyfriend, becomes embroiled in an affair with a man who is not what he seems. The producer is Steve Norris, who is working alongside LA-based Gail Mutrux of Pretty Pictures; Czechoslovakian director Julius Sevcik will direct. Nolan has written the screenplay along with Michael Stokes; the Memento director has been nurturing the project – originally under the auspices of studio giant Fox – for some time but reportedly had to attend to the small matter of directing Batman Begins in 2005 instead. Want to learn more about #SWPMalfi? Book tix for a pre-show talk (‘#SWPRarelyScene). First one 14 Jan w @AndyKesson. Click HERE to book your ticket. The actress, herself a 2011 nominee for the nod voted on by the public, joins a panel of industry experts to come up with five nominees for the 2014 race. LONDON – British actress Gemma Arterton has joined a panel of industry gurus to help draw up the shortlist for the BAFTA Rising Star Award 2014, sponsored by telecoms giant EE. Arterton joins a panel that includes director Kirk Jones, producer Pete Czernin and U.K. movie critic Mark Kermode. Together, they must finalize a list of five nominees for the award. Arterton found herself on the Rising Star shortlist in 2011, but lost out to that year’s winner, Tom Hardy. 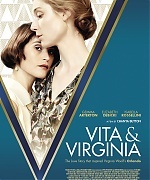 It is the only BAFTA award dished out at the British Academy’s film awards that is chosen by the public. The nominated five will have “demonstrated exceptional talent and ambition,” and also will “have begun to capture the imagination of the British public,” according to the panel guidelines. Nominees will be announced on Jan. 6 with the winner unveiled during the EE British Academy Film Awards on Feb. 16.